A fenugreek and almond based sweet. 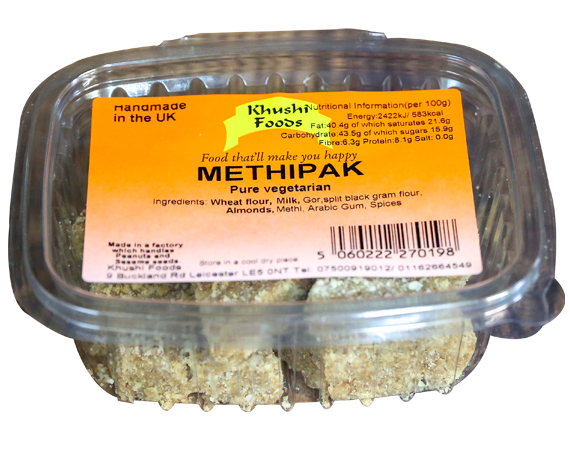 Our Methipak is made from the finest of ingredients including pure butter ghee. Wheat flour, Milk, Gor, split black gram flour, almonds, methi, Arabic gum, spices.